If you’re stacked with great interactive experiences and you know it, clap your hands! We love the experiences created by our customers but if we keep doing this, our hands will fall off! So what’s the solution? You guessed it! We create an appreciation post instead. 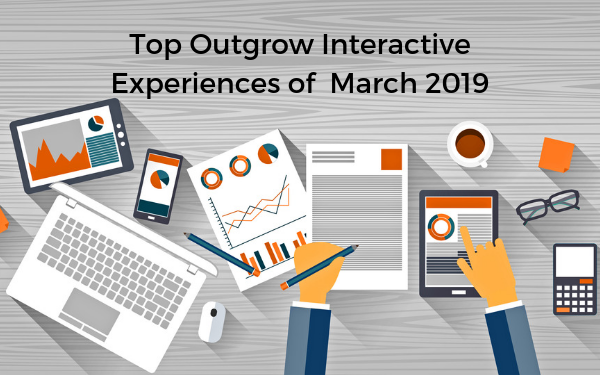 Here are the top interactive experiences- February 2019 edition. Mike Staff Productions is a four service wedding company offering fun DJ’s, beautiful Photography, HD Videography, and elegant uplighting. They offer custom and a la carte wedding services in Michigan, US. MSP’s content marketing efforts were on point (just have a look at their business-specific blog content and you’ll know what we mean). 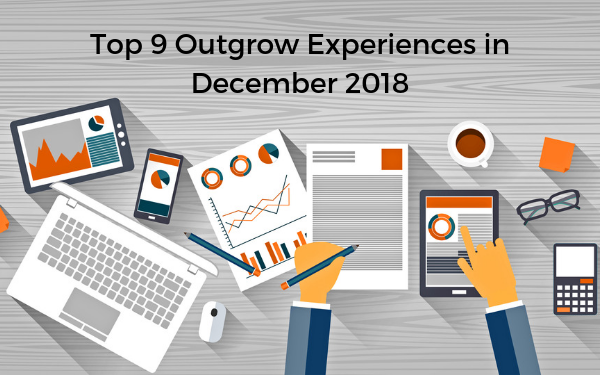 However, they still felt like they needed to boost their content marketing efforts. MSP created a calculator that estimated the cost of a lead’s wedding in real time. They assigned specific values to all the variables like the cost of DJ, photography, and videography. Moreover, they offered a discount to the people who booked a date through this calculator. We love the well-crafted welcome page of the calculator. In fact, the very addition of the progress bar, images, company videos, and logo confirmed its spot on this list. Oh, and how can we forget the detailed result page? Talk about adding value! Raising Partners is an innovative investment consultancy. They partner with businesses of all sizes to secure investment through angel networks, VCs and crowdfunding. They provide a comprehensive service for entrepreneurs, start-ups or established businesses looking to raise equity investment and deliver a tailored level of service. The experience created by Raising Partner is one fine build. Why do we say that? Well, the color palette of the calculator is in sync with their brand’s. The experience doesn’t just collect leads but adds real value to the customer by helping them estimate their revenue and projection. However, what takes the cake is their smart method of upselling. After they have provided the free evaluation, they leverage their expert advice by offering more details. This is certainly an interactive content best practice. 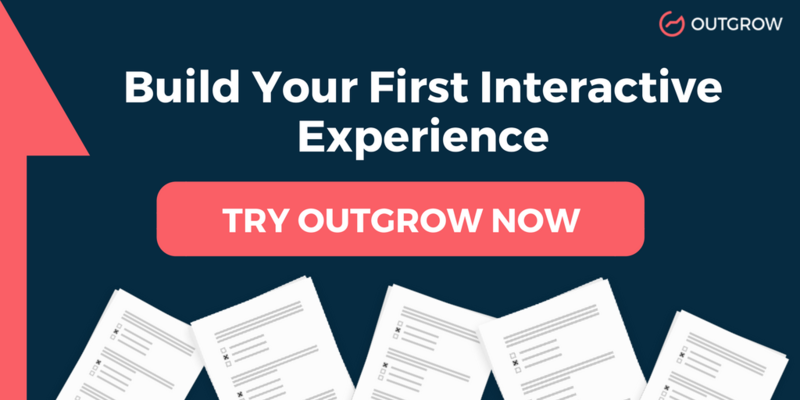 Pro Tip: Have a look at this article for tips on how to create kickass interactive content. Title: Which Crazy Rich Asian Character Are You? Locomole refers to a ‘local crazy’ (derived from ‘crazy’ in Spanish) mobile app that uncovers hidden secrets and discovers unique experiences. It is also known as a self-guided walking tour app with over 75 interactive mobile trails. It is curated by local experts with hidden stories of more than 700 places of interests, practical tips on free things to do. In fact, you can even look out for the best hawker food and local experiences on that app. Locomole created this experience around the release of the move ‘Crazy Rich Asian.’ It seemed to be getting a lot of traction on social media and Locomole decided to use it to their benefit. The result was a well-made quiz that collected valuable information from the leads. This information consisted of their favorite localities and food preferences. We can only imagine how valuable this information must be for a company whose product is a self-guiding tour. Furthermore, this quiz has a lot of potential of going viral due to its visual and content appeal. I mean, who wouldn't want to know which crazy rich Asian they are? Pro Tip: Have a look at this article for tips on promoting interactive content. Shoelace helps you tell your brand story with customer journey retargeting. They help brands build emotional connections with their customers by showing the right people, the right ads, at the right time. Their tool crunches your data to determine the best retargeting strategy for your brand. Moreover, its ads run inside your own FB Ads Manager. Shoelace created an interactive experience that can only be defined as a ‘lead magnet’. They asked a limited number of questions with few choices. Both choices are considered as a ‘best practice’ while creating interactive content. They have skillfully employed the feature of the logic jump as well. It ensures that the experience selectively reaches the leads that would require their services. In fact, this is also time-saving for the leads. That’s inbound marketing all the way! Auxilium provides petition services for immigrant visas or applications for adjustment of status on behalf of highly qualified candidates. Furthermore, they provide recruitment services and legal representation to highly qualified candidates. The graded quiz created by Auxillium is enough to generate curiosity in the mind of the leads. The questions are rather straightforward and pertain to the usual procedure of acquiring a US Citizenship. Furthermore, it is a great opportunity for the company to gather detailed and valuable information about their leads. This can help them create a better buyer persona and consequently, have a better conversion rate. Title: How Much Should Digital Marketing Cost You? Vivial is a marketing technology company that offers a full range of customer engagement tools to help businesses enhance the way they connect with customers, build loyalty, manage content and track results. They help businesses of all types increase their visibility using turn-key solutions. Vivial created an interactive calculator that helps clients find out the cost of their digital marketing efforts. The most noteworthy point about this calculator is that it shows real-time results to the lead’s queries. Furthermore, their upselling chip is a genius marketing move! Gotta love an interactive calculator that requires no coding! Title: How Much Is Your Home Worth In Today’s Market? ONLY Estate Agents are a group of real estate agents in Narre Warren. They are a well respected and trusted name around town. In fact, they have sold 1000+ house in VIC areas, with 75% of them sold at a high price. The experience created by them is the perfect combination of helpful and fun. In fact, the GIF on the result page made sure that we include this quirky quiz on our list. Moreover, the placing of social media share buttons on the result page is a good move as well! Title: Can You Ace This Queen Quiz? Talking of trending content, here we are with yet another interactive content. And guess what? It is created around a movie as well. The quiz asks questions related to the band and the movie ‘Queen’. In fact, the quiz might just be as amazing as the movie! 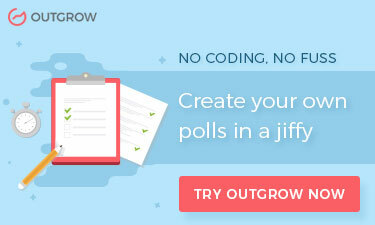 Moreover, the presence of funny GIFs and lead generation popup on the result page makes it hard for us not to love it. Oh, and did we mention we LOVE Queen? We hope that these experiences made your day. They certainly made ours! Can’t wait to create your own experiences? Well, you shouldn’t have to. Sign up for a free Outgrow trial down below!